Mavs will be held out for a filler prior to the break. Get ready for some tasty treats! - National Treasures is the only place to find Jumbo Rookie Patch Autographs! 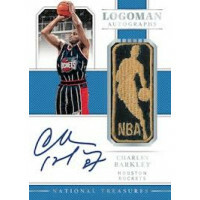 - Look for Logoman Autographs and Treasured Tags Autographs, featuring current players and retired legends such as Kobe Bryant, Reggie Miller, and Charles Barkley!. - Personalized autographs are back, and feature one-of-a-kind inscriptions! 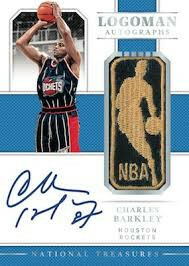 - Collect the International Treasures autographs and pay homage to the global reach of the NBA game! National Treasures delivers the most sought-after rookie cards of the year! 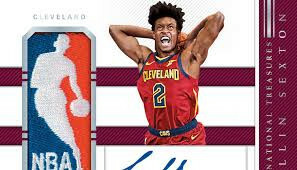 Collect the only Jumbo Rookie Patch Autographs of the 2018-19 NBA release year! With its clean design, year over year, National Treasures offers some of the classiest looking high-end autograph and memorabilia combo cards! 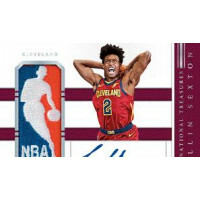 Look for themed autograph and memorabilia highlighting the diversity of the NBA, including full-letter nameplate cards from the jerseys worn in the 2018 NBA Finals!